The Veterans Affairs Department boasted another dramatic drop in its backlog of benefits claims in 2014, but will need an extra boost in coming months to meet its goal of zeroing out the payout delays by the end of 2015. The backlog — the number of first-time VA benefits claims unresolved for more than four months — sits at around 245,000 cases, according to departmental data. That’s down more than 160,000 cases in 2014 and more than 250,000 cases since the start of 2013. But despite that solid progress, VA workers are still not on pace to fully eliminate the backlog by the end of next year, a goal long promised by department officials. After two years of intense focus from lawmakers and critics, attention on the claims backlog has waned since early 2014. Worries about the thousands of veterans waiting for disability payouts were overtaken by worries about lengthy care delays at VA medical centers and data manipulation by department officials, scandals that forced the resignation of former VA Secretary Eric Shinseki. 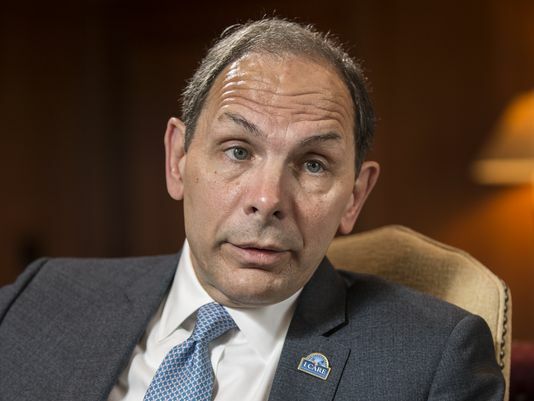 In recent remarks, new VA Secretary Bob McDonald has reaffirmed the promise to not only zero out the backlog, but improve the process to prevent future delays in processing claims. VA workers completed more than 1.3 million compensation and pension claims in fiscal 2014, a new record. Over the last two years, officials have used a combination of digital innovations, new software and worker overtime to aggressively whittle down the backlog total. But the enormity of the workload — Maffucci says she sees no signs of a near-term drop in the number of incoming claims — and the size of a backlog that peaked above 610,000 cases in March 2013 make zero an elusive goal. As part of their budget agreement in December, lawmakers allotted an extra $40 million in VA funds for new backlog-related initiatives, including digital scanning of claims, hiring additional claims processors in regional offices, bolstering new mail and coordination projects. They also added about $11 million to the VA budget request for the Board of Veterans Appeals to address the next disability claims problem: the appeals backlog.